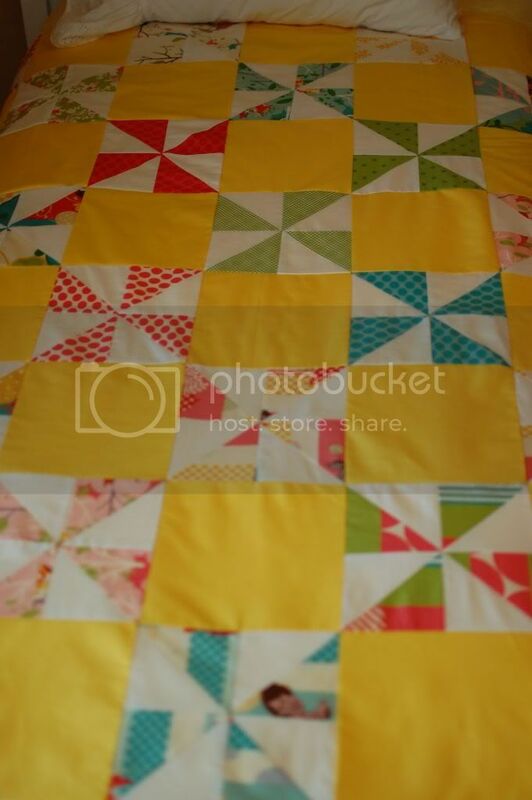 Okay, so here are a few photos of Anne's quilt top. We decided to go with a solid square in between the pinwheels that would give it a checker board look. 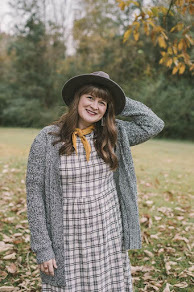 I'm loving all of the bright patterns with the yellow. 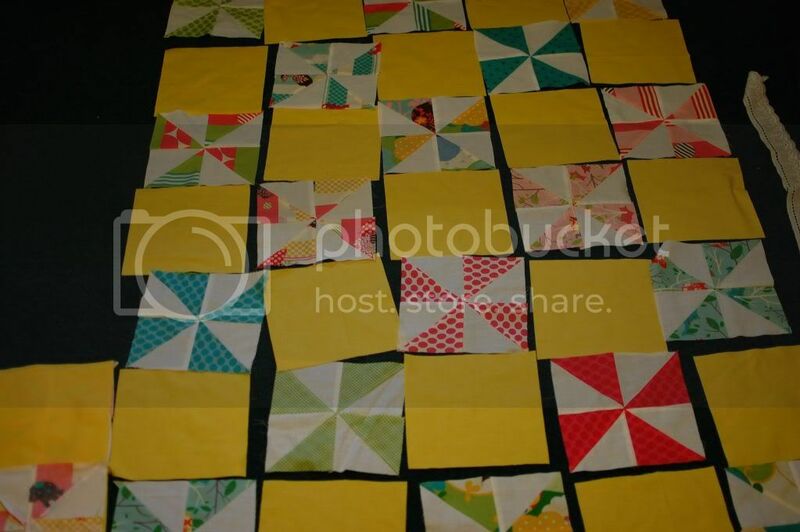 Now we just need to sew the strips along the edge and take this thing to the quilt shop to be quilted! Cyndi even had a sweet little helper! 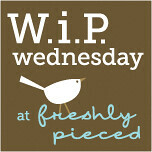 I'm linking up over at Freshly Pieced if you'd like to see what lots of other people are doing. Your sunny yellow photo drew me in, but I also love the shot of a yellow-haired daughter at work. Perfect expression of a summer's day, I think.